Sony's latest financials have revealed that it sold 3.5 million PlayStation consoles last quarter compared to 1.1 million Xbox 360s and Xbox Ones. It took me less than five minutes to get to my local Best Buy after I received the text alert informing me it had PS4's in stock. Even so, by the time I got there was already a line out the door, filled with gamers of all shapes, ages and gender excitedly talking about Sony's new console. Joining them in line I soon found myself standing with an even longer tail of people falling in behind me until finally store associates had to start informing people thatthere wouldn't be enough for everyone. Granted, this sort of spectacle is nothing new. Waiting in long lines to get a shiny new console is almost a gaming ritual at this point. That said, recent reports would seem to indicate that the PlayStation 4's success has extended well past the excitement of early adopters scrambling to get their hands on the latest machine. According to Sony's latest financials, the company saw a 95.7 percent year over year increase in its gaming based revenues, adding up to 2.5 billion dollars in sales. A note in this report pinned this growth directly on the success of the PS4 and its attached services. Perhaps more notable than these percentages however are the actual sales numbers revealed by the report. 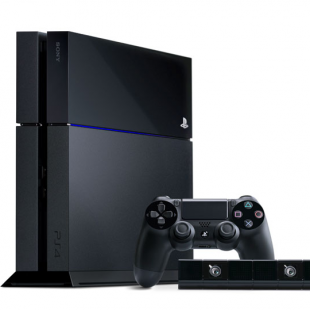 During this past quarter Sony has apparently sold 3.5 million consoles (PS3 and PS4 combined) to customers. This, of course, is substantially more than Microsoft's Xbox line which, according to its own figures, only shipped 1.1 million Xbox 360s and Xbox One's to retailers during the same time period. It's worth mentioning that this doesn't necessarily mean that the Xbox One is doing badly. That said, it definitely seems like the PlayStation brand has recaptured the stride it arguably fumbled during the last generation. We'll be interested to see, of course, how long it can hold on to it.